In the late eighties, a few international companies dominate the world market for 8-Bit home systems. 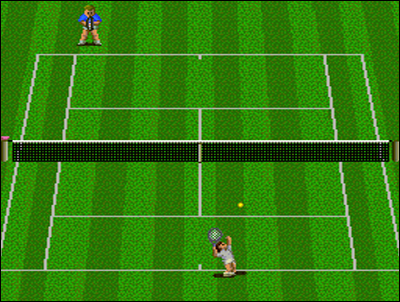 Nintendo and its NES (Nintendo Entertainment System), Sega and its Master System, but also the american firm Atari with its 7800 model, and also -let's not forget it- the english company Amstrad and its famous GX-4000, inspired with the popular CPC computers. Those were part of the third generation of gaming systems, nothing less than the inheritors of CBS Colecovision and Intellevision consoles, with Atari 2600 and others. The 8-bit microcomputers also occupy a substantial place, with the Commodore 64, the Amstrad CPC, MSX and other Spectrum machines. If Nintendo benefits the largest market part with its NES, things will move much in this end of decade, and technology is about to take a big step forward with the arrival of the fourth era of consoles, the 16-bits systems. 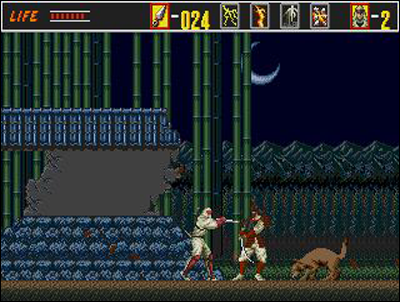 The first constructor to enter the battle is the japanese manufacturer NEC with the PC Engine, released in October 1987 in Japan. The console appears two years later in Europe and the United States, known as the CoreGrafx in Europe and Turbografx-16 for the Yankees. However, its main CPU uses an 8-bits bus, but the machine also packs a powerful 16-bit graphics processor... and so the machine was often considered by the audience as a true 16-bits system, with capabilities going widely beyond those of the 3rd generation machines. 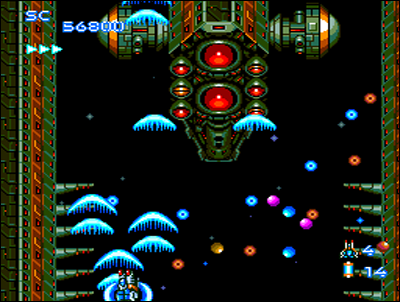 The Core Grafx is equipped with a system of very small cartiridges, called "Hucard", on which are stored on the games. These flat extra storage cards can contain as much memory as other normal-sized cartridges of the time. 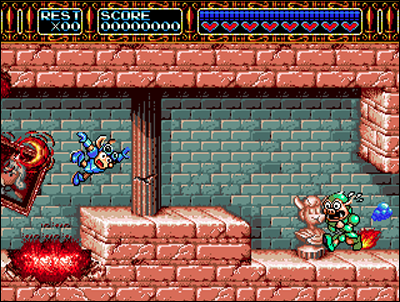 It's the editor Hudson Soft, who collaborated for the design of the console, who will publish a large amount of titles and raise the PC Engine to a great success, at least initially. At its release date, the machine was proposed at the relatively high price of $ 250. 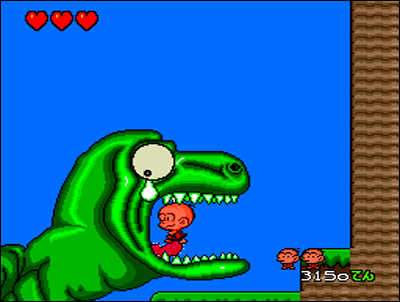 The little NEC baby will then feature a very rich library of wealthy Shoot them Up, but also great platform games. 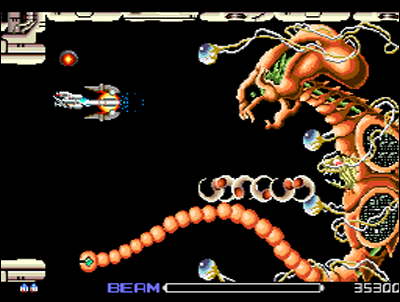 For example, the adaptations of R-Type games are simply amazing for the time, but we also note other nice shooters like Gunhed, Super Star Soldier, Violent Soldier, the Rayxambers or Tiger Heli; abouyt the platform games, the console had a mascot, like with Nintendo and its Super Mario, the PC Engine have Bonk, a little bald man who gets stuck in the great series of PC-Kid games. 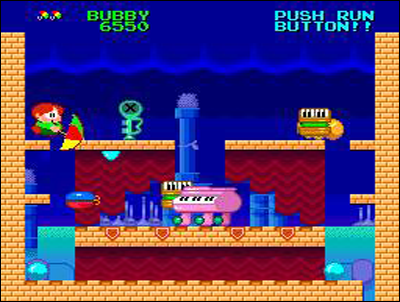 Players might also remember Parasol Stars, one of the Bubble Bobble-like of the machine, but also the good Wonderboy adaptations. 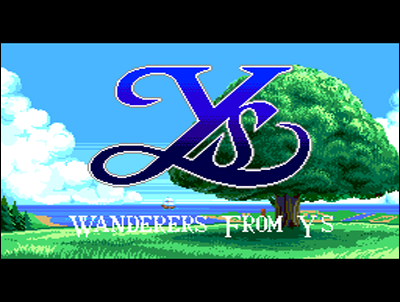 Later, the console will receive a CD-Rom extension (CD-ROM ² and Super CD-ROM ²) and the Arcade Card, which will allow it to host games requiring more memory or capacities, including excellent RPG like Ys. 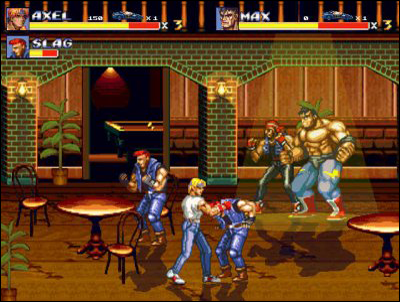 The system also hosted successful adaptations of legendary fighting games (Fatal Fury 2, Street Fighter II). 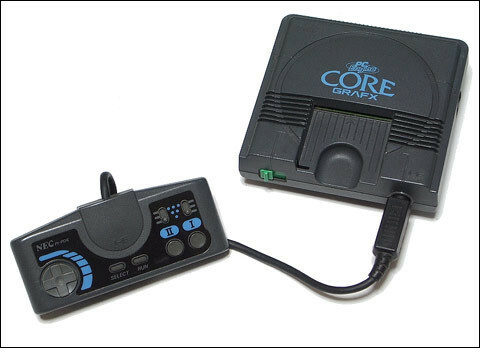 Sold over ten million copies, the PC Engine was popular at the time, but still remains a prized system for connoisseurs. Its very "japanese" library, and the lack of marketing around it in Europe and United States prevent it from being known by other gamers than those 'who know'. 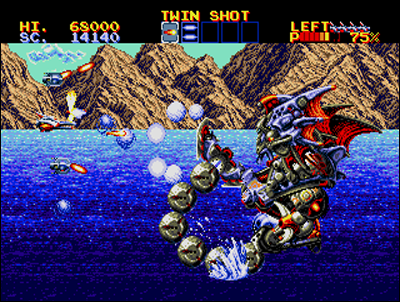 During the early nineties, the machine will be available in full version (Hucard + CD Rom) with Duo-R and Duo-RX, and also as handheld system (the most powerful of its time) with the PC Engine GT, and even with an integrated NTSC tuner (LT). 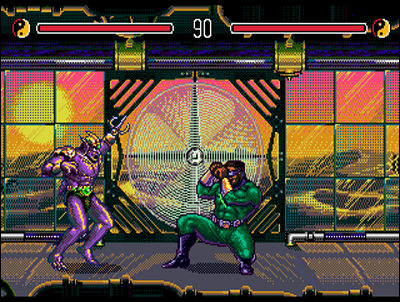 The adventure ended in 1994 for the small PC Engine. Definitely an Otaku's item, this console was the outsider machine of its time, which surprised a lot of players by the quality of its game library, and won the hearts of many among them! Shoot them up was the spearhead of the little NEC ! Sega rushes into the gap the following year. After a Master System, which failed to take the advantage over the successful NES, the company must now strike a blow and regain the market. And the least we can say is that Sega does not do things by halves. 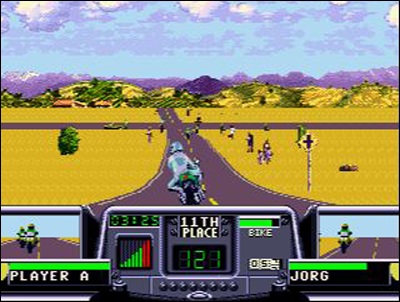 The Megadrive (Genesis in the United States) was released in October 1988 in Japan. It was at the time, the most powerful home system of the market. Its architecture was a classic 16-bits, associating a powerful Motorola 68000 with an efficient Zilog Z80 (couple used on many machines back then) inspired by Sega's System 16 that was operating in arcades at the time. Its game cartridges were able to store up to 40 Mb: promising capabilities! The Genesis was packing more power than the NEC, and sold at a lower price ($ 200). 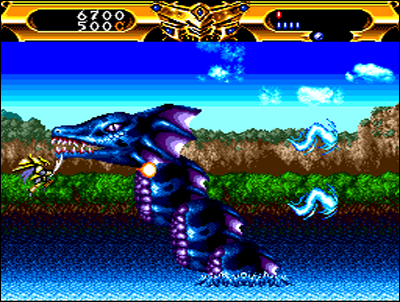 Sega wanted to conquer the largest part of players with its new 16-bit, and time will show the firm attract a wide range of players with it. Competition from Nintendo came a few years later, with the release of the Super Nintendo, that will lead to a war between the two companies. Anyway, Master Sega sold no less than 40 million copies of its Genesis in the world ... And the console hosted some major, wonderful titles during its brilliant career. How not to mention the series of Sonic -Sega's response to Mario- but also the sublime Thunderforce games, the Phantasy Star and Shining Force sagas, Shining in the Darkness ... the arcade hits of the editor arcade are also part of the success with best-sellers like Afterburner, Outrun, and so on. Some exclusives have attracted many players: one thinks especially about the fabulous Streets of Rage games or the no less excellent versions of Aladdin, Mickey or even Street Fighter II'... 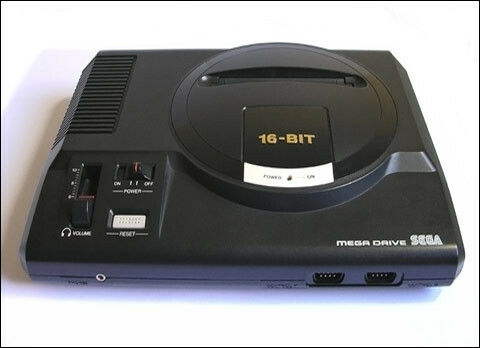 The console will receive years later the Mega CD and 32x extension hardwares, as the PC Engine did with its Super CD-Rom² and Arcade Card. These won't bring much intersting things at the end of the day, with a bunch of titles as pathetic as each other, interspersed with a few good things (Final Fight CD, Fatal Fury Special, Lunar, Shining Force CD). Not talking about the lame 32X, another additional hardware that will end in a real flop. 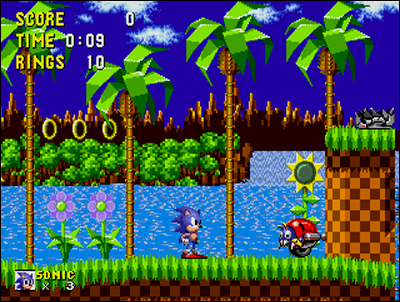 Anyway, Sega's baby remains an emblematic 16-bit machine, which ended its career in 1998 with the last game Frogger, and the end of technical support by Sega. Sonic used to be a tough opponent for Mario... back then.